The dictionary defines a cupola as a domed roof, a gun turret or a vertical cylindrical Furnace to melt metal to further refine it in other furnaces, or to cast it into useful shapes. The editors of Encyclopedia Britannica claim that René-Antoine Ferchault de Réaumur built the first cupola furnace on record, in france, About 1720. Cupola melting is still recognized by some as the most economical melting process if the furnace is operated continuously. A lot of grey iron is still melted and cast by this method. Improvements in the process over the last 200 years have included the construction of the larger furnaces and the application of the heated air at the tuyeres. Many foundries however as we shall see have invested in other more modern furnace designs and INSERTEC are able to supply a complete range of refractory lining products for all. Cupolas were traditionally lined with brick but in the last 50 years many of these units and other vertical shaft furnaces have switched to monolithic linings because the quality and availability of monolithic refractories have improved enormously and they are more cost effective when properly engineered and expertly installed. At the top of the furnace the refractories must resist mechanical and thermal shock while in the lower part of the lining the most important properties are the ability to resist attack from molten metal and slag at elevated temperature. Intermittently operated furnaces are sometimes cleaned and given a protective wash on the hot face each day but continuously operated units must be constructed from premium products for long life and low cost. INSERTEC, have a complete range of monolithics for the original linings of both ferrous and non ferrous furnaces of all sizes and you are invited to contact us for precise recommendations. For economic and operational reasons many ferrous and nonferrous foundries have more recently invested in crucible and induction furnaces for melting and casting their products. Crucible furnaces are one of the oldest and also one of the simplest types of melting unit used in a foundry where small batches of low melting point metal or alloys are required. The charge is placed in a refractory crucible and heated mainly by conduction through the walls of the crucible using gas oil or electricity as the fuel. Most modern foundries however use electric induction furnaces for the efficient melting of both ferrous and non ferrous metals and alloys and these have largely now replaced crucible furnaces especially for elting of high melting point alloys such as cast iron and steel. Induction furnaces are generally easier to control with regard to temperature and chemistry and better suited to the enviorement. 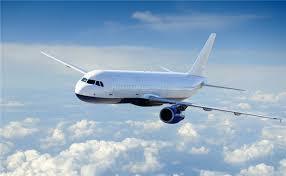 Written by Eate From U.K.
ALUMINIUM, Key in the construction of modern aircraft. A combination of lightness, ressitance and high electrical and thermal conductivity, is the property that became a key to Aluminium and its alloys, for the construction of aircraft, automobiles, or engines, among many other applications. And it is that a given volume of aluminium weighs less than one-third of the same volumen of steel. Unique lighter metals are Lithium, Berylium and Magnesium. On the other hand, only has a 63% of the electrical conductivity of the copper wire of the same thickness, but weighing less than half. This means that a comparable one of cooper conductivity aluminium wire is thicker, but still lighter. All of this has its importance in case of the transport of electricity of high voltage-700,00 volts or more-longer distance for what, precisely, are used for aluminium conductors. 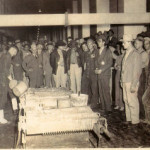 Due to the considerable savings produced during recycling and to the simplicity of the process, the aluminum started to be recycled a long time ago, and today is a widespread activity, technically solved and profitable, In fact, more than the 75% of the last 100 years produced aluminum is today in use because of the recycling. Over the past 20 years , Insertec has developed a range of specific products for the aluminum recycling sector, in which we can remark tilting rotary furnaces. Looking at this type of equipment, the refractory lining is one of the critical points , and where our refractory division provides differentiated and innovative engineering refractory solutions. Manufacturing according to a quality system: (moulds design and manufacturing, mixing, vibration, demoulding, drying and fyring) = Homogeneity in the technical characteristics in all the shape geometry. Specifically designed (materials y geometry) = best behaviour taking into account the requirements of each zone of the installation. The customer receives the shapes just ready for their installation and put in operation. They could be installed by mechanical team with some drawings and assemblying instructions. Installation days and scheduled stops are considerably descreased. There can be spares in the customer or in the manufacturer warehouse, so in case of non scheduled stop of the plant, replacement of the shape and repairing works are reduced at minimum. The characteristics of the shapes are homogeneus and materials and designs the best in each application = increases in the life of the refractory components à less repairing costs (refractory and metallic elements that are protected by the refractory), and less operations inside the furnace. 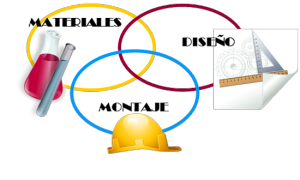 Less operations inside the installation à less exposure of the workers to more occupational hazard (demolitión, equipments and tooling handling in reduced spaces, activities in reduced accesses zones,etc) = Improvement in SAFETY and Health conditions. The possibility of accidents and incidents decrease due to the minimizing of the number of repairing operations.. 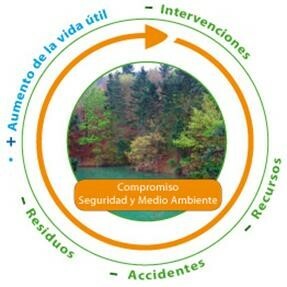 The increase in the life of the refractory components involve an enviromental and economical improvement due to the less waste creation and its latest management. The following picture symolizes all the advantages (technical, economical, safety and enviromental) that are involved in the use of REFRACTORY PRECAST SHAPES. How we can optimize the performance of cupola furnace? 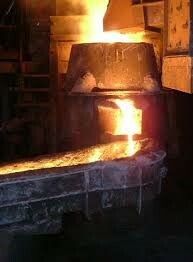 Avoid excessive temperatures in the casting and reduce overheating. Ensure uniform load: The distribution of metal and coke must be uniform during charging. Improve the control of charges weight , the inyection flow and metal temperature. Minimize air leaks. Supply the correct amount of air is essential for the proper performace of the cupola. It is necessary to take extra care to prevent leaks and ensure efficent operation of the furnace. These losses are common in the hot wind cupola and take place in the exchanger of heat. As result, oxygen in the nozzles should be injected to compesate lost air. Avoid vaults formation in the cupola. vaults stickings and jams of the load in charging area creates efficency loses during the melting and ocassionally, even in severe cases stop it completely. Improve the Refractory linning. During the melting process, the wear in the refractory linning modifies the dimensions of it; afecting directly to the performance. For this reason minimizing the attack to the linning , is a way of energy saving. The maintanaince of the linning must be taken carefully. 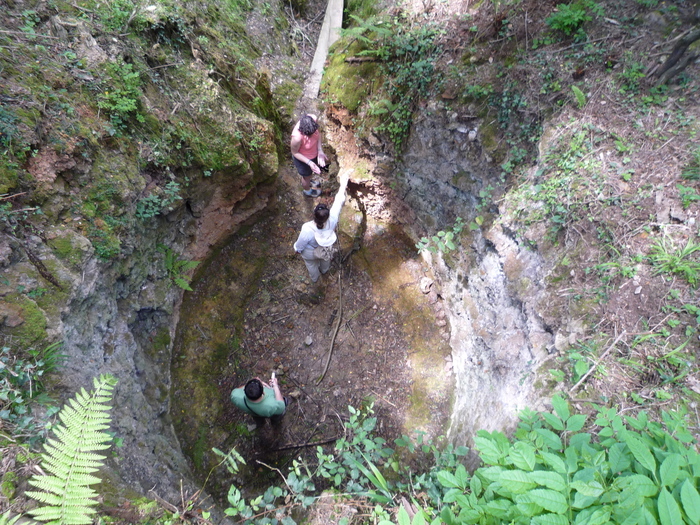 In 2013, a reduction of iron furnace was located in Galdakao (Bizkaia-Spain). This building,is the largest in Europe, with 5.5 meters tall and 4 wide, this large furnace that was based on the manual work against others later which were helped from the force of the water was really great. Before the revolution industrial, at the beginning of the 19th century, this metal (Iron) also was very importan in Basque country life. The iron was good, had little phosphorus, for this reason they could manufacture more flexible tools. They obtaining the Iron through these funaces drilled on the slopes. 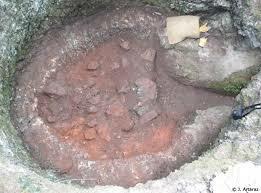 They pouring the mineral into the furnace and with the heat were obtained iron in one side and slag on the other. Researchers have given them the name of “BASQUE FURNACE”. In fact, compared with other structures, the zone have walls curved – the European are straight- and channel which gives air is located on one side rather than in the center of the bottom. We consider an interesting news, because we can see that this town has its history very linked to the iron, also seemed a curosity that one of the locations of INSERTEC was in this town. Itacolumitas are special sandstones which reach this unexpected flexibility due to special interlocking of its grains, coming from its geological growth. Name comes from the Brazilian country of Itacolumia, Minas Gerais, where it was firstly identified. This strange elastic behavior developed by nature, has been focused by scientists of different areas due to, for example, potential application of itacolumite inspired microstructures, to develop flexible concretes capable to resist, in terms of its own flexibility, vibration coming from earthquakes. Aluminium is a relatively young metal in that two hundred years ago no one knew that it existed. It was not until 1825 that Hans Christian Oersted, professer of phisics at the University of Copenhagen managed to produce the first few milligrams of pure aluminium in his laboratory. It took a further thirty years after Oersted´s original research effors for H. Saint-Claire Deville to produce a slightly larger sample of the pure metal and this was exhibited as a small bar at the Paris Exhibition of 1855 next to crown jewels of France. If we speak about Sir Isaac Newton, all we go back to our school days and see how relevant is F=m·a, second motion law in our lives. All we will agree but, if I say any refractory castable, any civil concrete or, in general, any fluid mix would be properly managed through pumping, casting, conveying and so on, thanks to another, basically unknown, Sir Isaac Newton’s law, most of you wouldn’t say what law I am referring. Without going any further, the Sun is, in itself, a gigantic plasma, full of atoms of Hydrogen and Helium that have lost totally or partially their electrons as a result of the extremely High temperaturas generated inside (they estimate that the temperatura of the Sun is approximately 6000ºC in surface and some 15 million degrees centrigados in its interior. However,To get a Plasma, it is not necessary to apply such high temperatures, in fact with a candle and a match we have enough; the orange-coloured Corona that we sometimes see in the flame of the candle is the result of dissociation and ionization of the air molecules and plasma in low density and temperatura. Finally, If we look arround, it is posible to find more tan one element formed of plasma. Also we can find plasma generated naturally as lightning in a storm, or the sun, man has created artificial plasma with different purposes: in medicine, industrial aplications such welding, plasma cutting…etc. Even, most of us have at home fluorescent lamps or televisions based on plasma thechnology. One of plasma application that interest us, consists of casting units heating based on the technology of high power HPTP, thermal plasma consits in taking advantage of the heat of a plasma arc, and it is a consequence of the ionization of plasmagen gas between a graphite (the cathode) electrode and the metal, which is electrically connected to another electrode (called anode). The electric current flows throught the gas ionizing it, being abble to reach temperaturas up of 10.000ºC in the core of arc. The generation of plasma is obtained by generating potencial difference between the two electrodes, so that it produces a reaction chain that ionize the plasmagen gas giving rise to plasma arc.